I continue with my quest of exploring different parts of the Great Walls. This is the second installment of the sights I saw. The first one was about the Ming Wall near Beijing. 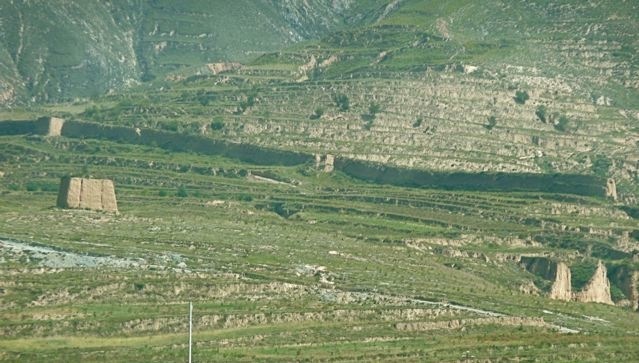 The Great Wall was built throughout the last 2,500 years to keep the northern nomads from raiding and plundering the Chinese cities and farmlands. 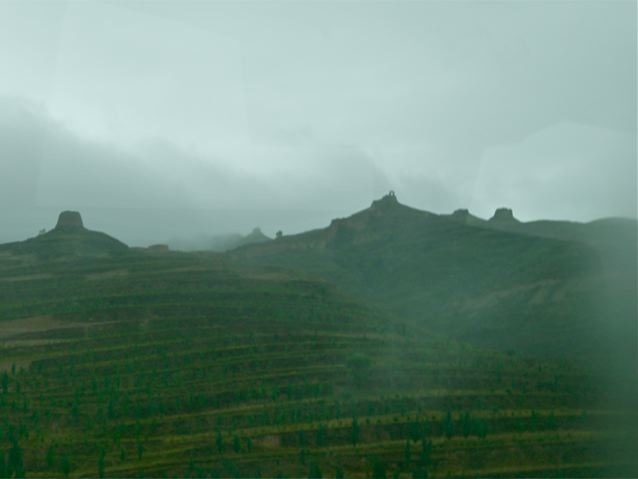 ShanXi Province (山西) was a traditional attack route and extensive defensive systems were built. 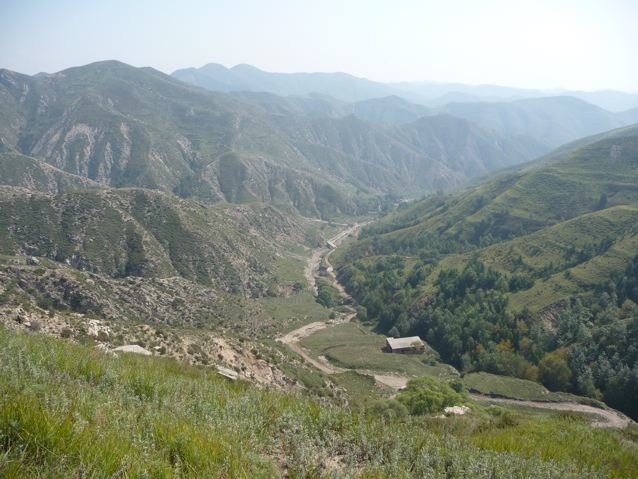 One system is on the border with (Inner) Mongolia and is named the Outer Great Wall. 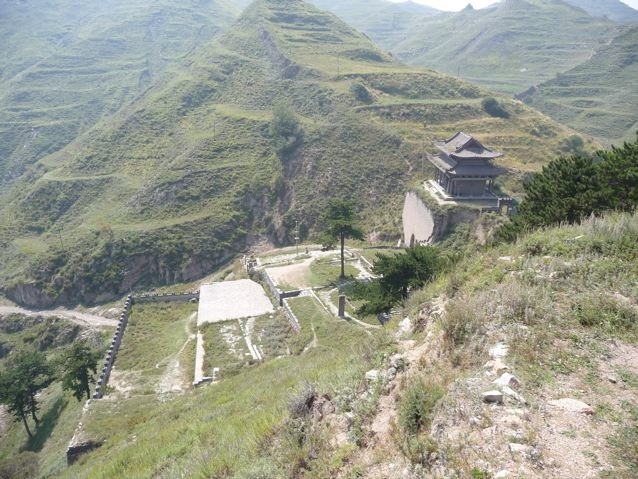 A second defensive system runs along a mountain ridge to its south and is named the Inner Great Wall. 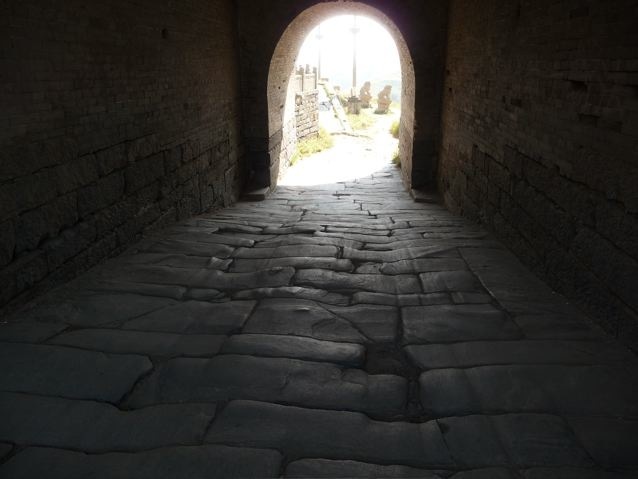 This installment describes my visit to the Inner Great Wall. 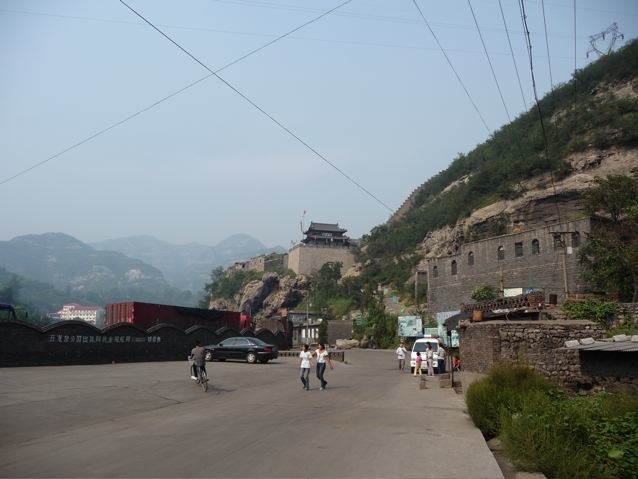 One famous fort on the Inner Great wall is curiously named the Lady’s Pass (娘子關). 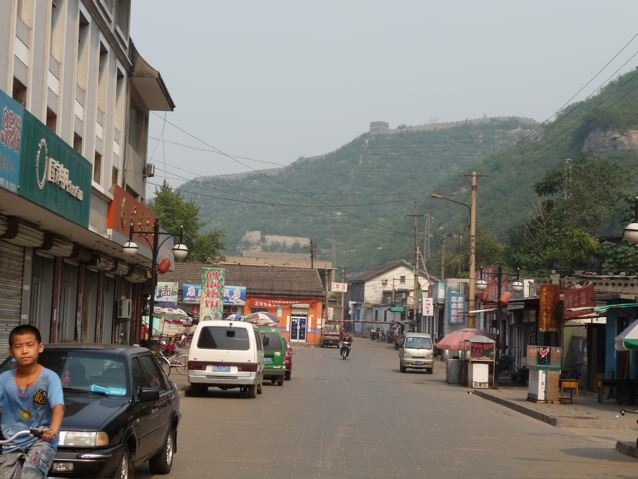 It is so named after the Tang dynasty emperor’s sister who stationed an army there during his rise to power. 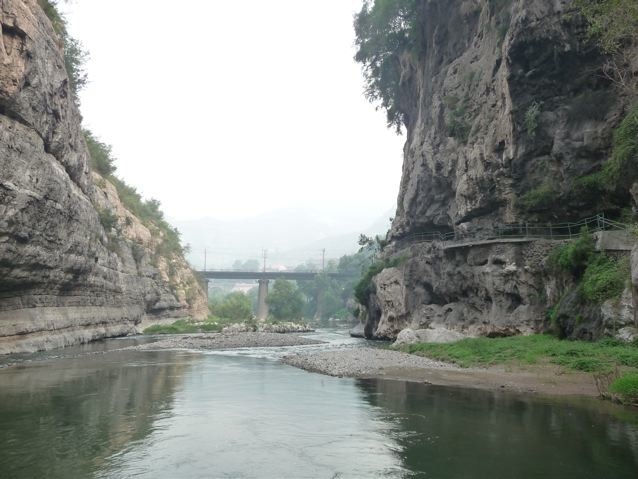 It straddles a narrow pass and is built on a cliff overlooking the gorge of a rapid stream. 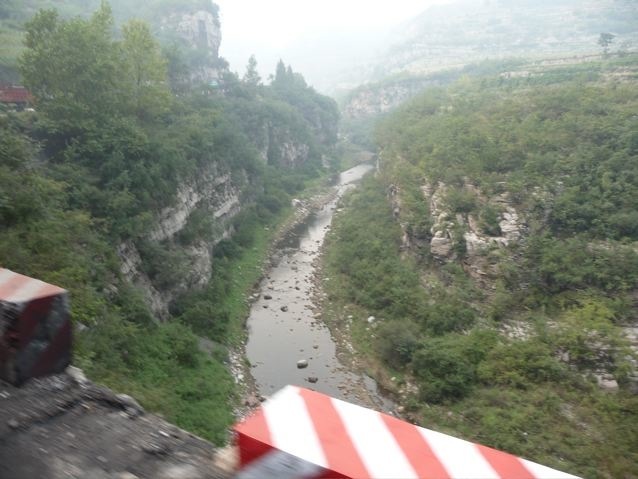 The stream has been dammed by a hydroelectric power plant, and the pass has a busy road cut through it. But the impassability of the gorge can still be appreciated. 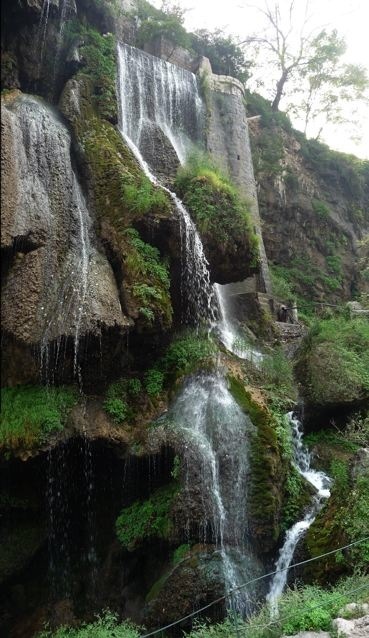 There is a waterfalls on the side of the cliff and the water pours out of a copious spring. The original defensive system is gone but a new wall is built on a ridge as a tourist attraction. 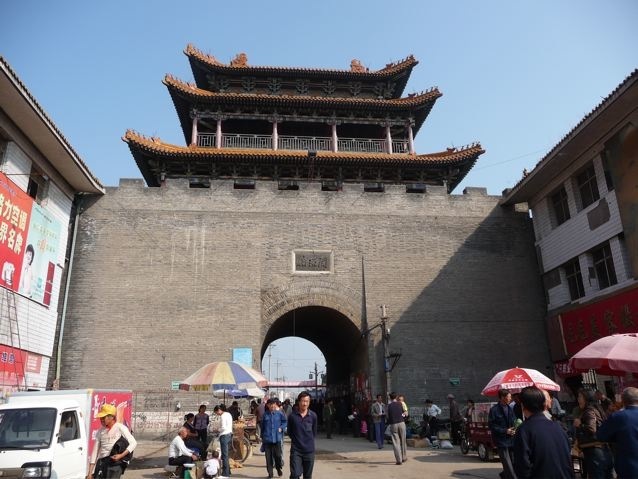 One crucial pass that protects central ShanXi is the Goose Gate Pass (雁門關). This high pass on a east-west mountain range choked the north-south traffic. 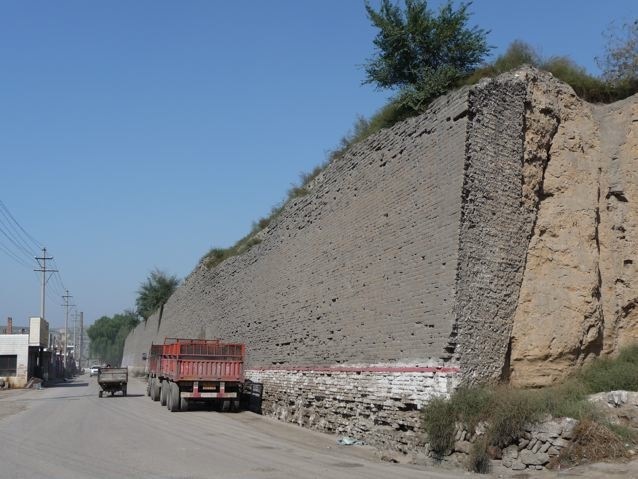 To bypass this obstacle, the new north-south superhighway runs under the mountain through a very long tunnel. 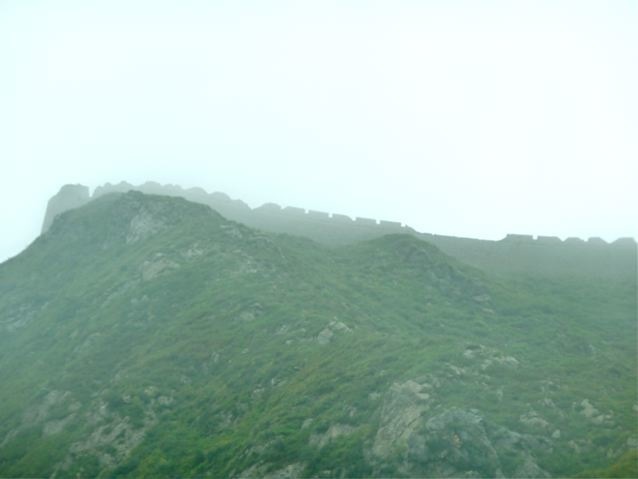 On the mountains approaching this pass, extensive system of walls, beacon towers and forts cover the landscape. The pass itself perches on a high narrow pass. The extensive system of the fort has been worn away, and only the gates remain. Fortunately, the gates retain their brick cover and stay relatively intact. The wooden building on the gate is newly built to look old. The stones of the road in the pass are worn from hundreds of years’ use. Part of the fort compound remains by the gate. Raiders from the north had to attack up a steep hill to reach the pass. Looking southward from the pass, the landscape is equally rugged. 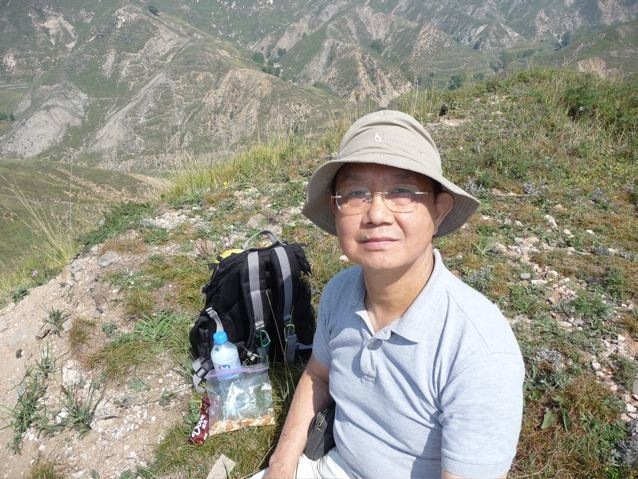 After climbing up and down hills, I found it refreshing to sit down and enjoy a chocolate bar and a bag of nuts that Sally thoughtfully packed for me. 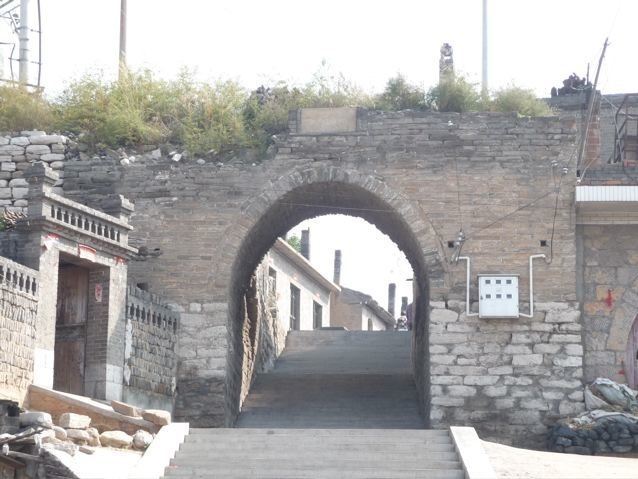 On the western end of the Shanxi Wall, a fort held the key to the defense of the Wall. 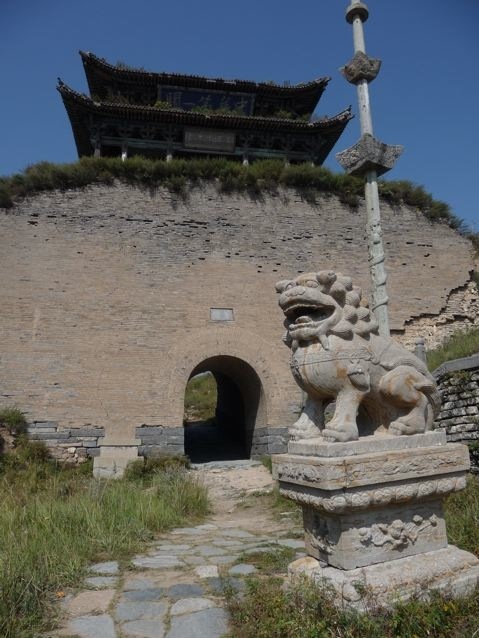 Mongol raiders often rode on the frozen Yellow River in the winter and attempted to breach this fort. The Tilted Fort (偏關) has been thoroughly “modernized” and only a few remnants of the old fort remain. The city gate remains in beautiful condition. Part of the city wall remains intact. It even retains its thick covering of bricks over the rammed earth core. The east gate fares much worse and only a skeleton of its former glory remains. 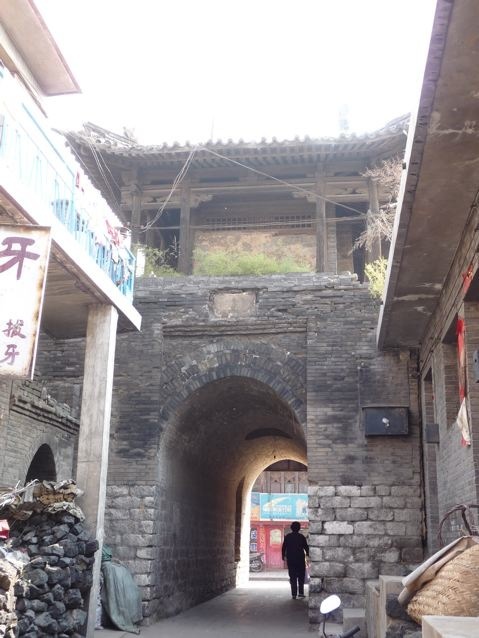 The only ancient building remaining in the city is the gateway to a long-gone temple. Posted by Robert Wu on Wednesday, October 1, 2008, at 2:32 am. Filed under Uncategorized. Follow any responses to this post with its comments RSS feed. You can post a comment or trackback from your blog.